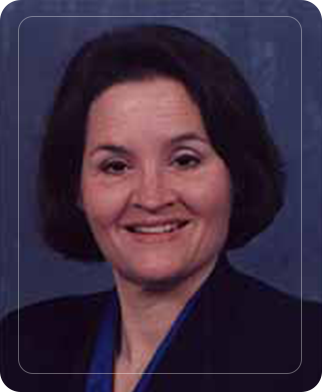 Rebecca has practiced law in Maryland and the District of Columbia since 1981. She lived in Silver Spring until 2012 and now resides in Annapolis, Maryland on the end of the South River. With an AV rating from Martindale Hubbell and numerous awards from various Bar Associations, including the Maryland State Bar, where she has served on the Board of Governors and presently serves as Chair of the CLE Division and the Bar Association of Montgomery County where she served as President in 1999-2000, she is well respected by her peers. Her clients include over 1000 private employees, federal employees, state employees and employers in discrimination, wage and hour, COBRA, OSHA, FMLA, ERISA, non-competition agreements, union matters, severance agreements, wrongful discharge termination and sexual harassment for over 35 years. These clients are in Montgomery County, Anne Arundel County, Prince George’s County, Southern Maryland and the District of Columbia. She has acted as a mediator for Montgomery County Government and the Circuit Court of Montgomery County, Maryland. She began her career working for the National Labor Relations Board and then as a legislative assistant for the U. S. Senate. Becton vs. Pena, Secretary of the Department of Transportation, Case Number No. 96-1169 JR U. S. District Court for DC. See also Becton v. Pena, 946 F.Supp. 84, D.D.C.,1996, denying government’s motion to dismiss. Won a $900,000 jury verdict for a disabled federal employee. Vilas vs. Lyons, 702 F. Supp. 555 (DC Md. 1988) one of the few reported cases on the Spousal Waiver required for pension plans under ERISA. Ruffin Hotel v. Gasper, 17 A.3d 676 (Md. 2011) retaliation case for filing a sexual harassment charge. Set the evidentiary standard as “Motivating factor “also involved preemption of discrimination cases where workers comp claims are involved.